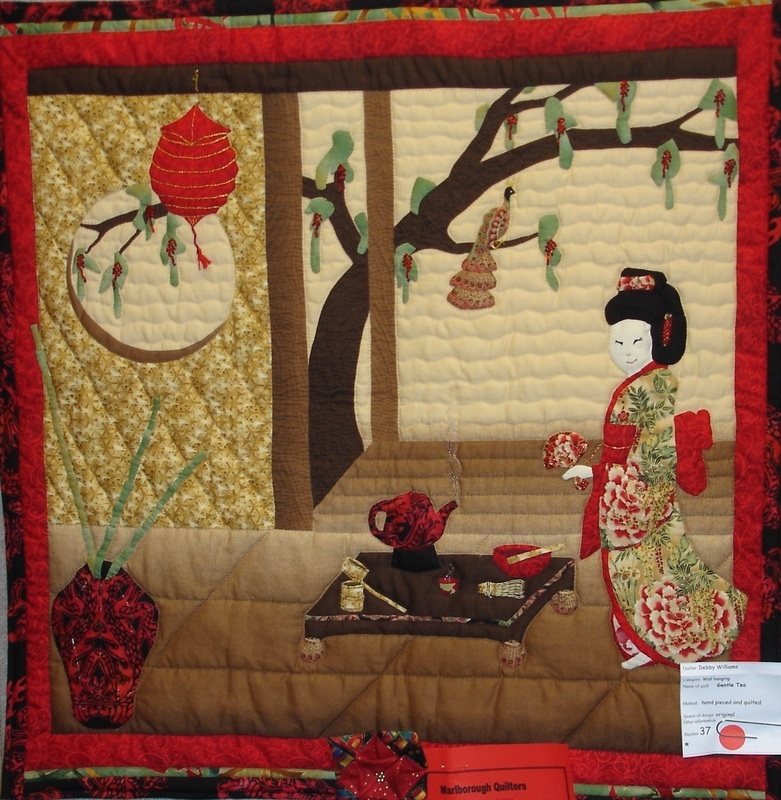 This was not accepted for the intended contest, but did win a local prize when displayed at the Marlborough Quilter's Exhibition in the wall quilt category. This was hand appliquéd and hand quilted. Embellishments included beads and gold thread.